Sterling K. Brown has been a busy man that deserves a little surprise every now and again. 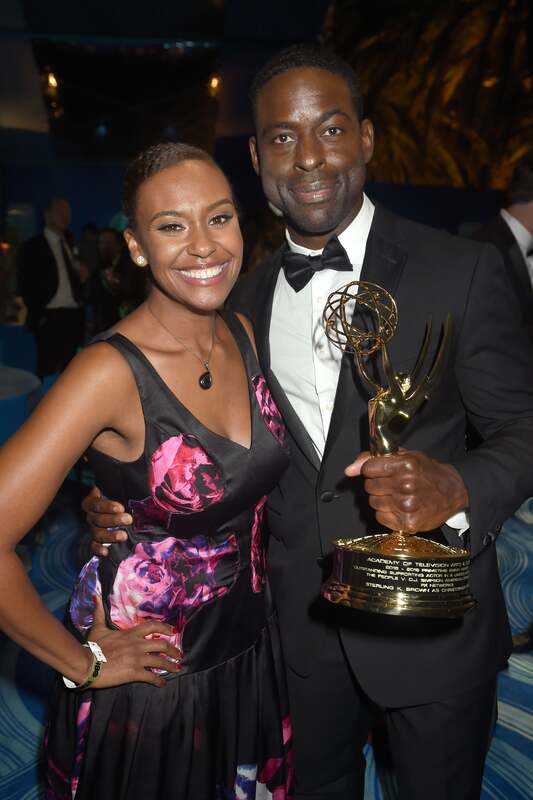 This summer, the Emmy award-winning actor has been busy filming season 2 of hit series This Is Us and an upcoming thriller Hotel Artemis, but even his long days on set can’t keep his wife from showing him love. On his last day on set for Hotel Artemis, Sterling’s wife, actress Ryan Michelle Bathe, stopped by to surprise her leading man. Sterling was so happy to see his favorite lady that he shared an adorable picture of them together in the moment. “And that’s a wrap on #HotelArtemis My favorite lady paid me a visit last night before it was all done. Thanks for dropping by, @ryanmichelleb Love ya! To all my cast and crew, thanks for a damn good time! I think we made something pretty cool!,” he shared. The couple has worked together on set before, for shows This Is Us, Army Wives and Boston Legal.